Use this complete online Eleven Plus preparation to help you and your child prepare for the 11 plus test at home. Created for BOTH parents and children, this resource provides a detailed insight to the entire 11+ process, the question types and includes free practice questions and answers. You can download 11+ Free Practice Papers at the bottom of this page. All across the country, Year 6 pupils will need to make that all important decision as to where they want to continue their education. Choosing the right secondary school will have a huge impact on the rest of their academic life, and thus this choice needs to be the right one for your child. The first big decision you and your child will need to make is whether or not they wish to attend a grammar secondary school. If you wish to apply for a grammar school placement, then there are a few things that you are going to need to know. This ultimate FREE resource will guide you through the entire process of applying to ANY grammar secondary school. This resource will answer some of the most common questions concerning the Eleven Plus, in the hope to make the transition from primary to grammar school much, much easier. The content on this page is designed to provide a complete overview of the 11+, the types of questions your child will face and frequently asked questions by parents. The eleven plus is an exam sat by children in their last year of primary school. It is used to determine whether or not a child may gain entrance to a grammar school for their secondary education. The Butler Education Act of 1944 saw the introduction of the eleven plus examination. This act saw a reshuffle of the whole of the education system in the United Kingdom in post war Britain. The aim was to make secondary education free for all and eliminate the existing inequalities. Following from this, secondary schools were consequently divided into three distinct types: Grammar, Secondary Modern and Technical schools. 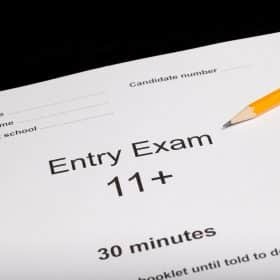 The eleven plus exam was hereafter used as a way of assessing students’ suitability for Grammar schools, and those who did not pass were allocated places at one of the two other types of secondary schools. Changes were made to the system in 1976 when the Labour government decided to give LEA’s (Local Education Authorities) the option to get rid of some Grammar schools favouring comprehensives which treated all children equally regardless of natural academic ability. Following from this, some existing Grammar schools became Private Grammars and many turned into comprehensives which did not require the sitting of the eleven plus exam in order to gain entry. The number and types of schools became varied in each Local Authority area. Today’s picture is just as varied, with some areas of the UK still having a large number of selective Grammar schools (with Kent, Medway, Buckinghamshire and Lincolnshire having the largest numbers) and other areas having more of a mix. Should your child take the 11 Plus? Whether or not your child should take the eleven plus depends on a number of factors. Often your child’s primary school will offer advice as to whether or not they believe it is a good idea based upon their proven abilities throughout their education so far. You should also take into account the schools that are available in your local area and weigh up which ones would suit your child best. You should not force your child to take the exam against advice just because they have ‘nothing to lose’. Of course, this is subject to each school, and therefore the exam may differ slightly. 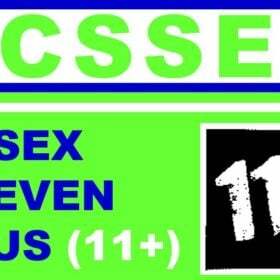 For example, we know that the 11+ for the CSSE (Essex) exam, it only consists of an English and a Maths paper. 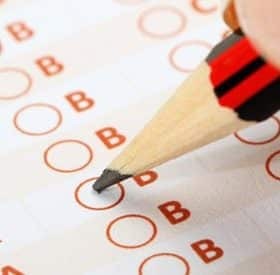 The types of questions your child will face in their exams are designed to test the knowledge that they have acquired throughout their primary school education thus far. The eleven plus however may have some types of questions or topics that your child is not entirely familiar with. 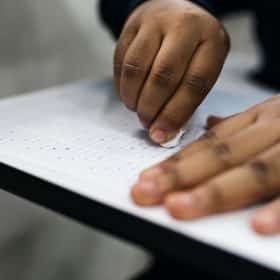 This is because the test aims to seek out children who can apply the skills and knowledge that they have attained to various diverse topics and questions. This demonstrates an initiative and aptitude to the examiners. Ultimately, one of the best ways to ensure your child performs as well as possible in their exams is to familiarise them with the types of questions that they are likely to face. They will naturally feel daunted on the day to some degree but equipping them with adequate prior preparation will ensure that they have the best chance of success. Think about covering each of the 11 plus sections in turn with your child to make them feel fully prepared and confident on exam day. In the next section, we are going to provide a breakdown of each section, including example questions, and how to work them out. This section requires you to read a passage or an extract of text, and subsequently answer a range of questions based upon what you have just read. For the real exam, it is recommended that you spend approximately ten minutes reading the extract given, and a further thirty minutes answering the related questions. words and themes within it. They will be a combination of both multiple choice and longer, more descriptive questions. It is recommended that you spend ten minutes on this part of the test in the real exam. During this section, you will be asked a few different types of ‘verbal reasoning’ style questions. Given the time frame you have to answer these questions, you will have to complete them fairly quickly. They will involve more ‘quick fire’ type exercises and they will be prefaced with an example question and answer, so that you can get an idea of what the question is asking of you. You will be given a separate booklet for this part of the test. It is recommended that you spend around twenty minutes completing this section in the real exam. You will be set a couple of tasks, and then asked to write a number of sentences (around six or seven) on a subject or topic in your own words. It makes sense to divide your time evenly for these two questions, so with that in mind you should aim to spend around ten minutes answering each one. 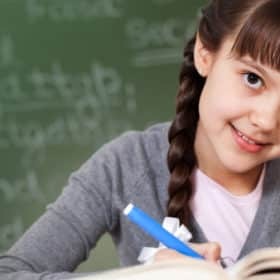 For these questions, you will be assessed on the creativity and quality of the pieces you write, along with the correct and proper usage of punctuation and spelling. The best advice that I can give to you is to read as many different types of books as you can. Whilst it’s great to pick a genre that you love, this will limit your ability to expand your knowledge. By reading books from different authors, genres and eras, you will be able to see how writing styles differ from one another, and how each written text uses particular techniques in order to draw in their readers. Reading books from different eras (traditional vs. modern). It is important that, after reading the text, you think about what has been said. You need to be able to read an extract from a book, and understand the passage in further detail. How does the author want me to feel at this point? How does the author feel at this point? Why have I been provided this information? What can I learn from the information that has been provided? Why has the author used a particular phrase? Who is the narrator of the text and how are they being portrayed? Poetry is another form of literary writing. Poems are often written to express feelings, thoughts or ideas. The subject of the poem will depend on what type of poem it is. Below is a list of the types of poems you will be expected to know for your Key Stage 2 English SATs. Rhythm, syllables, number of lines, topic etc. can be absolutely anything! Read the below passage carefully and then answer the following exam-style questions. Extract from Webster and his Journey Home by How2Become. Strand by strand, Webster created an articulate infrastructure; a structure so defined and carefully constructed, that it made all others seem unrefined. Clear light lines that, although appeared fragile and breakable, were actually a strong, valuable asset to the world in which he lived. “It’s all in the spinning”, Webster smiled as he continued to finish off his masterpiece. There was nothing Webster liked doing more than spending time with his companion, Toby. Together they would create a sense of security and triumph – Webster’s definition of perfection. On the surface, Webster appeared to be like any other of his kind; a dark shade of brown, with legs as fast as they could carry. Webster was just ordinary, nothing special, nothing different; just blending in with the rest of the crowd. Webster would move from place to place, doing the same things he had always done. He knew no other way; it was a routine thing for him; a routine to eventually get him home. He became complacent with his way of life. He knew that every ‘man’ was out for himself, and although the rest of them would have learnt to protect and hide themselves in their patterned shelter, Webster felt the need to be ridiculously excessive. After all, he was tiny and suffered with a damaged leg, all of which makes him inferior to the leader of the cluster. Why do you think the author has used the name “Webster”? What inference can we make from this choice of name? The author uses the phrase, “a structure so defined and carefully constructed, that it made all others seem unrefined”. What do you believe the author is referring to here? Which narration is the author writing in for Webster and his Journey Home? Poem called Windy Nights by Robert Louis Stevenson. What type of poem is this? Line 3 and 4 reads, “All night long in the dark and wet / A man goes riding by”. What does the “man” represent? Write down two examples taken from the poem, which describe how the author conveys sound and imagery. The author has used the name “Webster” to imply that he is, in fact, a spider. The author uses the phrase, “a structure so defined and carefully constructed, that it made all others seem unrefined”. This is clearly talking about a spider’s web, and how they are carefully created. Lyrical – Lyrical poems are poems that are expressed musically. In other words, you can imagine singing along to it. The man is representing a horse rider. (1) “Whenever the trees are crying aloud”. This links to the title of the poem, “Windy Nights”, as it suggests that the trees are making noises from the wind. (2) “And ships are tossed at sea”. This demonstrates that the sea is rough and therefore reinforces this notion of wind. The maths test is comprised of one test and one answer booklet is provided. It is recommended that you answer all the questions you can in good time, and not spend too long on a question you are not sure on. This means that you can leave yourself time at the end of the test to go over and try again on any questions you were unsure of the first time around. 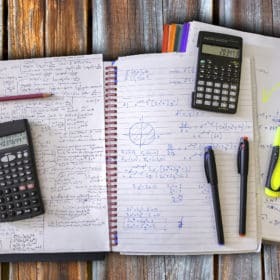 You will not be able to use a calculator during the test and you will be provided with space on the answer booklet to show your workings if necessary. The test will include an array of different types of maths problems you will have studied at school. The exam board advise that once the test has commenced, you will be unable to ask about any of the questions within it. A fraction is PART of a whole number. A FRACTION is made up of 2 numbers. The top number is called the NUMERATOR. The numerator number tells you how many ‘bits’ we are trying to work out. The denominator number tells you how many bits there are ‘altogether’. Time = is a way of measuring how long it takes to do something, or to work out how long something lasts. The day is split into two halves. If you are asked to write down 7 o’clock in the morning, this will usually be written as 7am. If you are asked to write down 7 o’clock in the evening, this will be written as 7pm or 1900. NOTE: there is an ‘am’ and a ‘pm’ for every time of the day, so make sure you know which one to use! We can break up time in a number of ways, but below we have shown you the most common ways time is broken up. Try to learn as many of these as you can! Theo is arranging blocks into patterns. The blocks he is using are all the same size. This is the first pattern he makes. a) What is the area of the shape Theo would require to fill the gap in the middle? b) What is the perimeter of the shape that Theo creates? Scarlett only knows the time using am/pm times. She is struggling to convert the times using the 24-hour clock. Scarlett wants your help. Match the am/pm times to the 24-hour clock. If the statement is true, put a tick in the box. If the statement is false, put a cross in the box. a) 4 : 3 is equivalent to 16 : 12.
b) 12 : 6 in its simplest form is 1 : 2.
c) 24 : 11 is already in its simplest form. d) 50 grams of flour, 40 grams of sugar and 100 grams of butter. In its simplest form, this would be 5 : 4 : 1. EXPLANATION = 24 : 11 is already in its simplest form because 11 is a prime number, and therefore no numbers can be divided into it. EXPLANATION = 50 : 40 : 100 in its simplest form would be 5 : 4 : 10, not 5 : 4 : 1. There are various different types of verbal reasoning questions you may be asked. They are questions that are designed to test your understanding of the English language and the words within it. The reason why schools use verbal reasoning during the 11 plus assessment is so that the assessors can analyse a student’s understanding and comprehensive skills. This is a great skill to demonstrate as it allows students to analyse text and work out the logical reasoning behind words and sentences. Generally, the verbal reasoning section of the eleven plus exam will be combined with the Non-Verbal Reasoning 11+ paper, and you will have 1 hour to complete both sections. The same letter must be able to fit into both sets of brackets [?] in order to complete the word in front of the bracket and begin the word after the bracket. The only letter that could fit inside the bracket in order to make 4 words is = Y. In each question, there are two pairs of words. Only one of the answers will go equally well with both these pairs. (Look out for meanings of the words and other possibilities of how another word could be used in that situation). Travel would not be appropriate because it doesn’t fit with the first set of words. Trap doesn’t work because it doesn’t fit with the second set of words. Drop doesn’t work because it doesn’t fit with the second set of words. B – trip (meaning to fall or stumble and can mean taking a trip somewhere). Rearrange the words so that the sentence reads correctly. left tap room the the because flooded was on. Pick the word from the list of options that is the opposite to, or nearly opposite to, the word at the top. Read the sentence and complete the letters within the missing word. The pig r_ll_d in the mud. Lift is the odd one out. The other three words are all similar types of exercise, performed mainly with your legs. The room flooded because the tap was left on. The opposite word to “wealth” is answer option C – scarcity. The pig rolled in the mud. Non-verbal reasoning questions are designed to test your ability to recognise patterns and sequences in sets of abstract shapes and pictures. 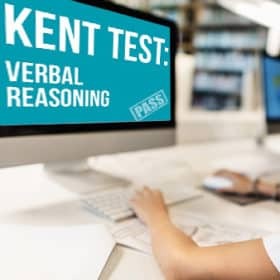 There are a variety of different types of non-verbal reasoning tests which require you to pick up upon and apply a range of different methods. Non-verbal reasoning is used during the 11 plus so that student’s ability to work out similarities of patterns and shapes can be assessed. As mentioned previously, the non-verbal section of the 11 plus will be combined with the verbal reasoning. For these types of questions you need to pay careful attention to colours, patterns, shapes, size etc. You can notice that figures A, B and D have diagonal lines going from top left to bottom right. Whereas in figure C, the diagonal lines are going from top right to bottom left. This is the opposite and therefore is the difference. Work out the where the hidden shape is. The hidden shape can be found in one of the answer options. It will be exactly the same size and the same way round where it is hidden. For the following question, you must refer to the first pair to decide upon what will make up the second. Look at the changes that have occurred between the two images in pair one, and then apply them to pair two. Which answer options completes the sequence? Which shape is the odd one out? The answer to this question is C. The first pair sees two black shapes switch places and become white and the two white shapes switch places and become black. This method can be applied to the second pair where two black shapes change places and become spotted and the two spotted shapes switch places and become black. The answer to this question is C. Notice that the black square in the top right stays in the same position. The shapes in a diagonal line move down that line one step each time. Once a shape has reached the bottom, it shifts back to the top. The odd one out is answer option B. Answer option B only has one small arrow pointing down from a line where the others have 2. A crucial step in preparing your child for the eleven plus is spending some time working out what their strengths and weaknesses are. This way you can help them to achieve the best results possible in the exams. It is important to do this at an early stage so that your child can spend more time working on improving the topics that they find more difficult and less time on those that they are able to grasp quickly. There are a few ways you can go about identifying your child’s strengths and weaknesses, but one of the best ways is to go through some practice material with them. You can compare tests and see the topics that keep coming up. It is also useful at this point to simply ask your child which parts they particularly struggled with and if there is anything they are having difficulty with at school. As mentioned before, it is good practice to use mock exams in order to find out your child’s strengths and weakness. Practice papers are also useful in putting your child in the mindset of the exams. Often exams can be stressful and daunting for children of this age and it can feel that there is a lot of pressure on them to perform. However, familiarising your child with the format of the papers and the timings and types of questions they may encounter will help them to feel more comfortable and reduce some of the stress. Here at How2Become we have an extensive range of mock exams and example questions in various formats designed specifically to prepare your child for their 11+ examinations. You and your child may feel as though a course or a specialist tutor is necessary to aid them in preparations for the 11+. If you decide that this is a route you would like to go down, you should do some research to find the best available option for you and your child. Ensure you research tutors in your area and if possible look for those with reviews. It is always advisable to take tips and advice from others who can recommend a good tutor for your child. One thing to note when finding a tutor for the 11 plus is to ensure that they coach your child on the types of questions they will face in the exam they will be taking. That is to say, various regional areas have slight variations in how the 11 plus is structured and the types of questions that are set. HOW IS THE ELEVEN PLUS SCORED? The eleven plus uses a standardised scoring system. The scores are standardised both across the board and also age standardised to remove any kind of unfairness. For this reason the pass and fail marks for each year can vary. The standardisation process can sound confusing but it is essentially a way of making sure the marking is as fair as possible and takes into account all potential variations. For whatever reason, you may wish to appeal your child’s results for the exam. Your child may not have obtained the results that were expected of them and they might not have made their first choice of school. This happens every year and is sometimes due to certain mitigating circumstances but can also just be the stress of the exam on the day. Sometimes children can qualify for entry into their first choice school, but the school had a limited number of places and is thus oversubscribed. In order to start your appeal, find the letter that was sent out containing your child’s results. This will contain the information you need regarding how to start the process and who to contact. In the first instance you will usually be communicating with the head teacher of your child’s primary school and discuss your options and the paperwork you will need to fill out. Within the appeal you will need to include reasons for the appeal and any supporting evidence. You may also have to go to a hearing in which you discuss the reasons for your appeal with a panel. Of course the outcome of an appeal cannot be guaranteed, but it is an option that is there and helps many who did not achieve the result that they expected. What happens if my child doesn’t pass? If your child does not pass the exam as expected, do not despair or feel that all is lost. 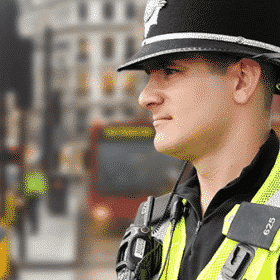 Firstly if you are interested in the appeals process and feel that this is worth pursuing then have a look at our advice above and consider this option. However, bear in mind that not every child will pass the exam and there can be any number of reasons for this. This does not mean your child has not performed well or is not good enough. Do not make them feel as though they have failed or disappointed you as this will only serve to discourage them more. Naturally children of this age will find it hard to cope with this type of situation so ensure that you stay supportive and encourage them to hold their heads high and move on. There are a number of comprehensive schools your child will have the opportunity to thrive at and consider that sometimes another school may be a better fit for their abilities. Choosing the right school can seem like a daunting decision. There are a lot of things to consider when making the decision for you and your child. Make sure you think about the things that are important for your child. This can include the type of learning your child is suited to, the facilities and reputation of the schools and their locations. Try making a list of the things that are a priority for your child and yourself and then apply these criteria to all of the schools that you are considering. It is important to visit the schools that you are considering as this is the only way to get a true feel for the culture and ethics. You know your child best, and they know if they feel comfortable in the environment of the school. Once you have a feel for the schools having visited them, have a conversation with your child applying all the criteria you set to each one. Come to a decision based on weighing up all the factors. Ultimately, you want your child to be happy at the school, but also you want to ensure you pick the school that will encourage them to perform at their best. Make sure to check your local authorities’ website for details which are specific to the eleven plus that your child will be taking. These websites are a useful go to for information including key dates and detailed information regarding the exams in your area. Some people find it useful to speak to other parents about the eleven plus process, and there are plenty of forums online where you can share your experiences and discuss with other like-minded people. For example, have a look at https://www.11plus.co.uk/ where you can discuss in the forum and pick up information regarding independent schools’ admissions. Make sure you have identified your child’s strengths and weaknesses before you begin revision sessions. Have a look at our advice above for tips on how to do this. Once you have narrowed down the topics your child finds more difficult you can then tailor their revision and avoid the mistake of giving too much weight to topics that they are already confident with. Similarly, ensure that you try different methods of revision and see which one suits your child best. If you can identify the type of learning that suits your child early on, they will find retaining their knowledge much easier. Try different methods to see which ones work best. Some children find mnemonics useful for example, and some are visual learners. Encourage your child to participate in active revision. Practice papers will get them used to the style of the exam that they will be taking and make the real paper less daunting on the day. Try testing your child under timed conditions for even more realistic practice. Ensure your child is in good habits in the weeks and months leading up to the exams. By this we mean sleeping at regular times, eating well and staying active. This may feel obvious but all of these things can really build your child up and give them the best chances of performing in their exams. Many parents find a reward system helps their child to get through revision sessions and encourages their studies. Small rewards when your child is doing well can really boost their confidence and encourage them to keep going. Here at How2Become, we have created several 11+ exam preparation books to aid 11 plus revision. With our guides, you and your child are able to effectively prepare for any 11 plus exam. Below we have listed some useful 11 plus resources to help you prepare further for the 11 plus assessment. This site provides extensive and in depth explanations of the whole eleven plus process. Useful if you are looking for thorough and detailed information. A site designed for parents to guide them through the eleven plus journey. Includes preparation guides for each part of the exam. Key stages online has a large section of eleven plus resources including online one on one tuition. A site with useful information on the admissions process and general advice regarding the exams and admissions processes. Useful especially for specific information in the Bucks and Kent areas.